For me, the works of Watanabe Shinichiro are a hallowed ground. I've seen so many anime at this point that sometimes they can blur together, but I could never mistake the work of Shinichiro for anybody else's or vice versa. Much like Miyazaki, he is among the absolute best of anime directors. There's a reason I listed him as one of my favorite directors with the likes of John Ford, Alfred Hitchcock, and Sidney Lumet. Shinichiro is a guy who is all about quality in my eyes. Since 1994, he has only directed six anime titles. One of those being the four episode OVA Macross Plus that he co-directed while another one only features him in a "chief director" role with another director involved. So, if you only want to count the anime that he is solely responsible for directing than we've got a whopping four titles over a span of twenty years. But let's keep it at six for this bit. Of those six, three of them came into existence within the past three years. 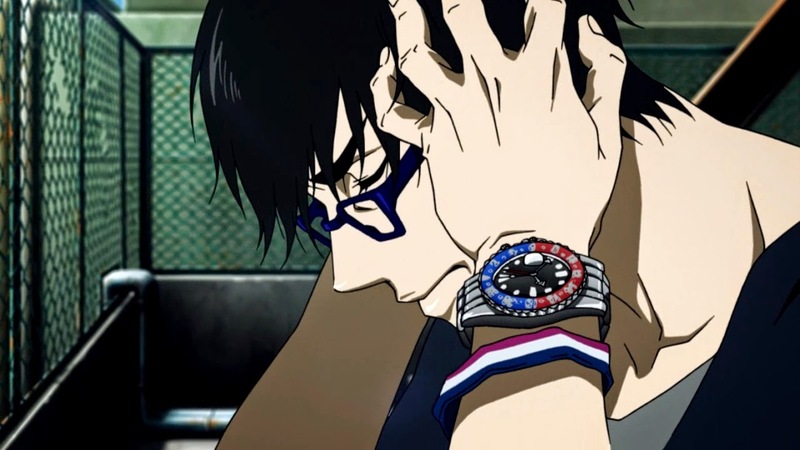 Kids on the Slope came out in 2012 while Space Dandy (where he acted as chief director) and Terror in Resonance came out in 2014. I don't quite know what caused this insane burst of creative output, but I do hope that he doesn't keep everyone waiting another six to eight years for his next masterpiece. 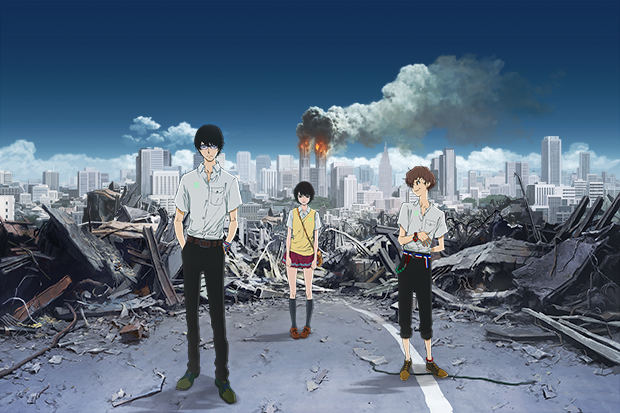 I shall have reviews for Kids on the Slope and Space Dandy at a later date, but for now I want to start with the very recent Terror in Resonance. The anime actually finished its run on my birthday. I didn't know that when I started it a few days ago, but I do feel a bit more of a kinship with this anime now that I know that. After the end of WWII Japan was recovering from the two bombs dropped on Hiroshima and Nagasaki. While Japan were the bad guys because of their alliance with Germany and they deserved to get new ones ripped into them by the U.S. forces, I sometimes wonder if the bombs were really necessary. A lot of people say they were and that they prevented future casualties and I'm certain they know what they are talking about since they lived through it or knew people that did, but what about now? I mean, did we know just what kind of monster we were unleashing not just on the Japanese, but on ourselves in the future by dropping those bombs? How long before we have to drop the bombs again? How long before we get a bomb dropped on us? It's been almost seventy years since the bombs dropped on Japan, but fear of nuclear terror remains alive and well on both sides of the Pacific. It's influenced a number of books, movies, and television shows and has become a genre unto itself. 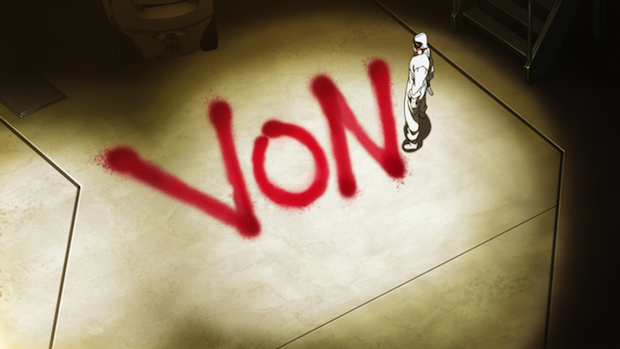 In that genre Terror in Resonance fits neatly, but this anime also presents us with a bit of new school terror. I don't think nuclear terror is a dated concept at all, but I know many people will remember 9/11 as the ultimate moment of terror. Next to Pearl Harbor, there really isn't much else to stand out in terms of deliberate acts of war and terrorism on American soil and we should count ourselves lucky. 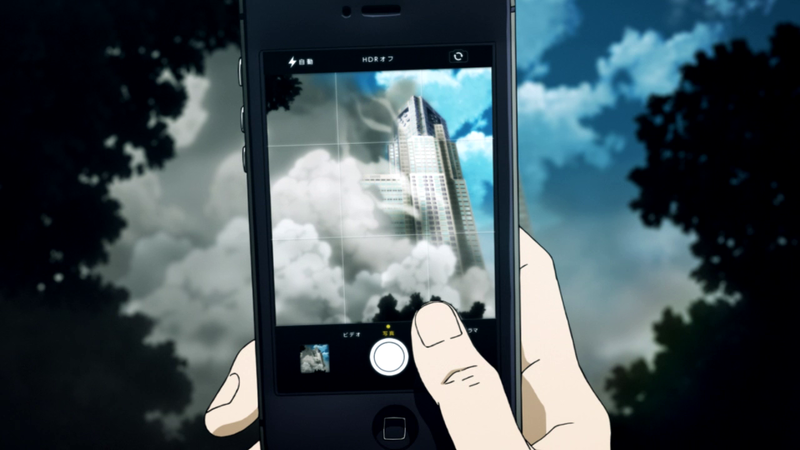 There's a definitive moment early in Terror in Resonance that will seem reminiscent of 9/11. A few moments, actually. The pics here should give an idea. If you are sensitive to this type of thing (and only you'll know if you can take it) then you probably want to miss this one. Just don't watch this if you think you'll get bent out of shape because it'll be your own fault if you do. I do want to say, that for an anime about terrorism and nuclear destruction, there's very little violence to be found here. In fact, I'm reminded of a lot of classic movies that would deal with heavy subject matter while eschewing blood. Shinichiro is one of my favorite directors because of that. He always delivers powerful stuff while eliminating shock value. Of course, I like shock too, but shock in an anime like this wouldn't do. 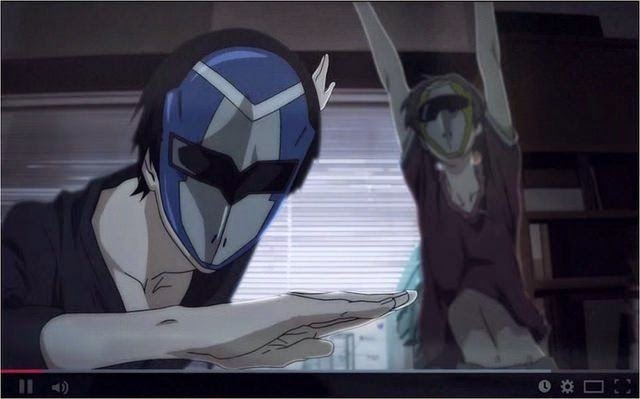 This anime is all class just like the man himself. Joining Shinichiro for this anime is renowned anime music composer and musician Kanno Yoko and her presence in any anime is always a blessing. The fact that she is almost always attached to a Shinichiro project is also a blessing. While I do like some anime music and will always give a listen to some J-rock and J-pop I rarely consider most songs or groups to be separate entities from their anime counterparts. I make exceptions for Yoko, though. Her music adds character to this anime even though it might not be quite as immortal as her Cowboy Bebop tunes. Then again, few tunes are. Now I want to give everyone a bit of info dump on this anime, but there's only so much I can tell. This anime is only eleven episodes long so I won't go too deep, but I suppose that a basic introduction is warranted. The main characters of this anime are Nine and Twelve and they are actually the terrorists. Seventeen year old terrorists, to be exact. They upload videos onto the internet under the codename of Sphinx to tease the Tokyo police and they wear masks like Super Sentai. In their videos they post riddles that the police must solve in order to disarm the bombs they've planted, but Nine and Twelve are not just simple terrorists and their endgame isn't money or glory or even fear. Just what Nine and Twelve want goes a bit deeper. Shibazaki is a guy who is down and out in life and he works in the archives section of the department, but he senses that Sphinx are certainly not average terrorists. Sphinx's entire plan seems to revolve around him since he seems to be the only one able to solve their riddles, but he knows there's something more. What he doesn't know is that Nine and Twelve actually have a nuclear weapon and they will use it on the unsuspecting world. Now I want you to take everything I said in for a moment and then consider the fact that Nine and Twelve are not the real villains of this series. I blew your mind, didn't I? This is the type of anime that I keep watching anime for. It is one of the great ones. 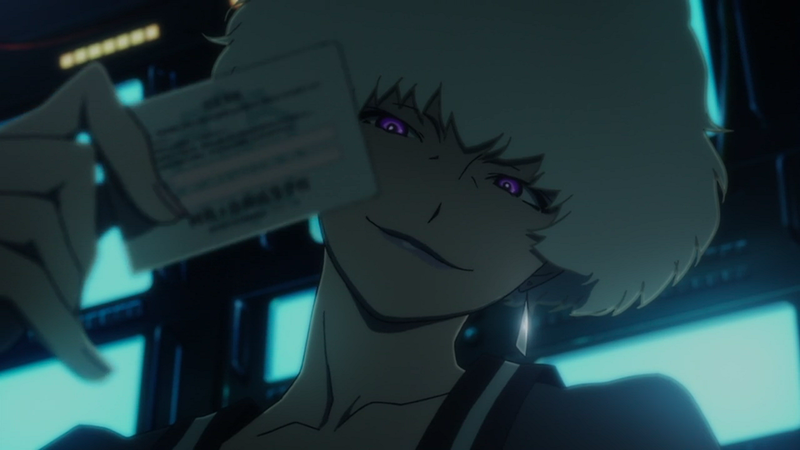 There might not be any Spike Spiegel involved, but this anime brings its own kind of bang.